Gary selected a combination of Humbrol Flat Black and Rustoleum Flat Black paints to develop visual texture for his interior. 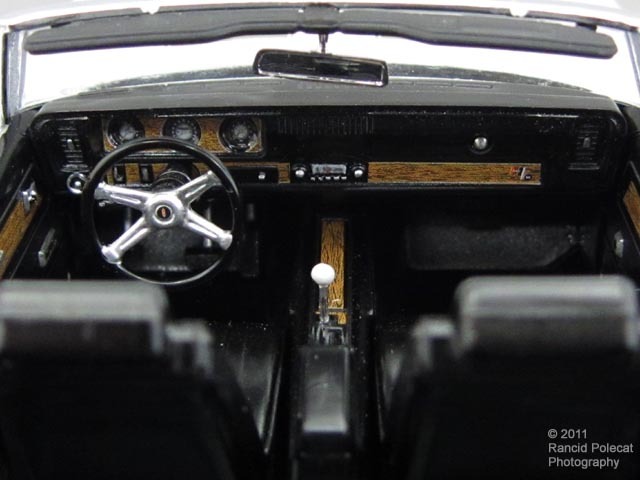 This is augmented by the kit's wood grain decals representing the Supreme series interior trim, which came with the convertible 442 option. "Crystal Clear" tops the gauge faces.